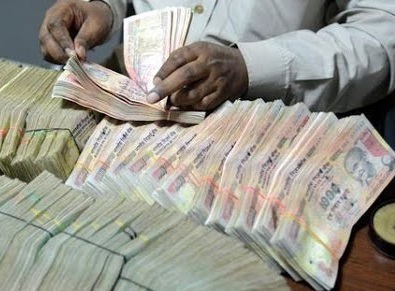 New Delhi: Five weeks after the Modi government announced the scrapping of the old ₹ 500 and ₹ 1000 notes, it has now been decided that amounts exceeding Rs.5000 in old notes can be deposited only once between now and 30 December, 2016. The banks have been advised to conduct due diligence regarding the reasons for not depositing these notes earlier. Amounts of Rs.5000 or less may continue to be deposited with banks in the customer’s account, as at present. However, cumulative deposits exceeding Rs.5000 between 19 and 30 December this year will be as per the procedures advised by RBI in respect of deposits exceeding Rs.5000 as stated above. The public has also been given the opportunity to make the payments towards tax, penalty, cess/surcharge and deposit under the Pradhan Mantri Garib Kalyan Yojana (PMGKY) 2016 with the old bank notes of ₹ 500 and ₹ 1000 denomination till 30 December, 2016. A number of representations had been received from District Cooperative Central Banks (DCCBs) to allow them to deposit with their linked currency chests the old ₹.500 and ₹1000 notes that had been collected by them between the 10 November and 14 November, 2016. An enabling notification to this effect has been issued. NABARD which supervises the DCCBs will conduct complete audit check of the Know Your Customer (KYC) documents of the individual customers who have deposited these notes or of the members of the Primary Agricultural Credit Society (PACS) that have deposited these notes. The details in this regard will be notified by RBI.